Esther Jacob is a first class author and writer who's remarkable clarity and ability to apply refreshing simplicity to complex issues makes her work required reading from people of all backgrounds and walks of life. I have personally benefited hugely in my spiritual life from the common sense advice and wisdom she so perfectly communicates. Trust me, her books are well worth purchasing!! That's why I did. A sincere voice is lacking in the world of authorship today and she is that voice! Get your copy now and be blessed! I attended the ‘How to Launch a Book’ workshop and found it undeniably informative. The knowledge shared and tips given by Esther, Tunji and Jahmella gave me a clear understanding of all the protocols which need following when launching a book. I’m very glad I attended, as since then I’ve been putting fingers to keyboard and writing away. I would definitely recommend attending this event if you’re considering whether to write or in the process of publishing your book. Good, honest advice is what you need, and that what I received. I attended From Pain to Purpose event on Feb 16th 2019 and I absolutely loved it. The workshop was amazing. 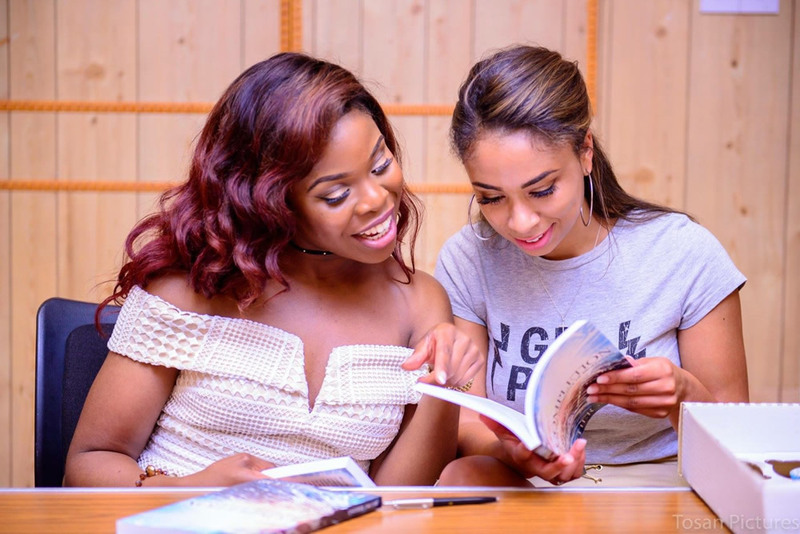 The event equipped aspiring authors with all the information and tools they needed to write their own books; there was also emphasis on the fact that we all have a story to tell! The guest speakers were amazing and kept everyone very engaged. It was an amazing event. I recently attended From Pain to Purpose event on Saturday 16th February. It was a very informative event with inspirational speakers who were very knowledgeable, and can also direct people who are intrested in becoming book authors. I am really glad that I attended this event. Well done to you my Esther, you've come soooo far. Keep striving girl. A big thank you to Tunji and Jahmella for sharing their story and for being so encouraging on how to become successful in writing books, creating your own website and blogging on social media. They both did a great job. Thank you. It was a pleasure to speak at this event. The audience drawn in were lively and passionate about writing their first books. Each speaker brought something unique to the table and this was noticeable. I recently went to one of the Authentic Worth events (Seminar): From Pain to Purpose. All about helping individuals have a better understanding about writing a book, the process and next steps. I can happily say it was really good. Not only did it confirm what I knew from before but also it broaden my perspective and helped me to see, know and understand things I didn't. I am so grateful for the knowledge imparted to me from Esther, Jahmella and Tunji. Super proud of Esther for not giving up too. She is so supportive, welcoming and humbly grateful. Thanks Esther, keep up the good work. I have recently attended two events by Esther Jacob. Both events were impactful and informative and I learnt quite a lot by it. Her "how to write a book part 1" event was so insightful and helped me very much in teaching me how to write a book and how to get it published. I look forward to attending more workshops like these in the future. I attended Esther's event in November on how to launch a book. I was extremely helpful for me as someone who is completely new to writing but extremely interested. The session was open and welcoming with some very informative speakers. I have also purchased her book it's time to heal, which really allowed me to reflect on my views of myself and the world. An excellent read from a brilliant author. Esther and I sat down to chat and she shared portions from her life experiences that was very moving and inspirational. Despite it all she possessed a positive mindset and conveyed such in all of our correspondence. She is encouraging and shares a lot of sentiments of hope whenever she communicates. I wasn't going to buy Esther's books for myself, as I felt they are for "chicks". However I did have a friend who was in a turmoil and I couldn't fully understand. I felt it a blessing to both parties to purchase this book. I can testify my friend is connecting with it, relating to it and highlighting to me elements that expounds how she feels. As a man I feel this book can shed some insight on how some of our women feel internally.